Miljenko Matijevic was born in Croatia's capital Zagreb in 1964. He became one of the greatest singing stars in entire rock history. In the recent years his popularity has spread to the Far East, especially in South Korea, where he had numerous appearances. His unique voice continues to attract millons of listeners throughout the world, for classic songs like "She's Gone", "Can't Stop Me Lovin' You", "I'll Never Let You Go", "We All Die Young", etc. Miljenko: "Thank you to my country with all my heart for opening your arms and showering us with such a graceful experience. I hope everyone enjoys what we have created." Miljenko Matijević in his native city of Zagreb in 2018, with Maja Karaga, his cousin, PhD in Mathematics. Behind him is The Art Pavillion of Zagreb. Photo by the courtesy of Dr. Maja Karaga. Miljenko Matijevic was born in Croatia's capital Zagreb in 1964. He became one of the greatest singing stars in entire rock history. In the recent years his popularity has spread to the Far East, especially in South Korea, where he had numerous appearances. His unique voice continues to attract millons of listeners throughout the world, for classic songs like "She's Gone", "Can't Stop Me Lovin' You", "I'll Never Let You Go", "We All Die Young", etc. Miljenko: "Thank you to my country with all my heart for opening your arms and showering us with such a graceful experience. I hope everyone enjoys what we have created." Filmed in Zagreb and Pula, Croatia, in 2018. A brand new exciting solo career is born as the legendary voice from the beloved 80's rock band STEELHEART, Miljenko Matijevic branches out and releases his very first solo debut single "In Love With You", as a tribute to his rock ballad roots and fan favorite songs "She's Gone" and "I'll Never Let You Go". It's set to be dropped on Valentine's Day 2019, for all the lovers out there. The Solo effort marks the start of many new projects to come in 2019, including some top secret contemporary sounds, marking the modern evolution of Miljenko. An EPIC music video location - Inspired by a visit to his birth place Zagreb, Croatia; Miljenko Matijevic re-recorded "In Love With You" in one of the most exclusive spots in the country. 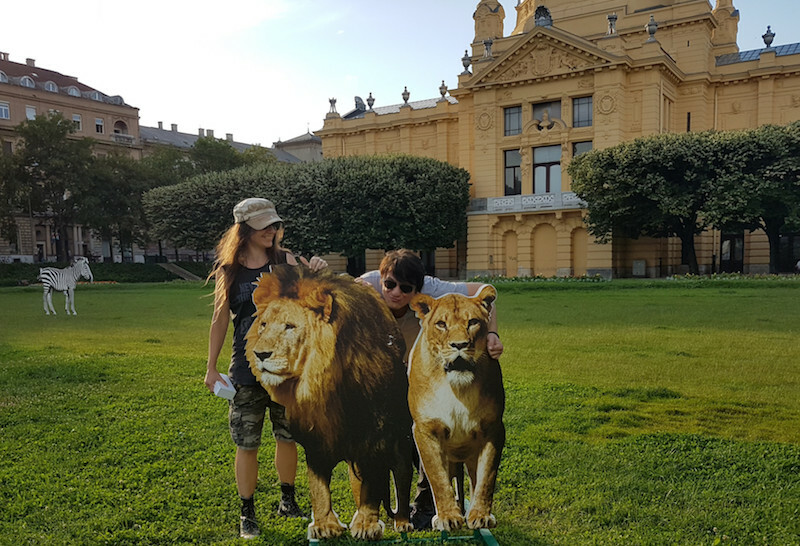 The music video was filmed on location in Zagreb and Pula Croatia during the summer of 2018, in the timeless and historical landscape of the Pula Archeological Arena. "In Love With You" was originally recorded as "I'm So In Love With You" as track #10 on the highly acclaimed 2017 SteelHeart album "Through Worlds Of Stardust". This journey to the making of this video swept us off our feet so quickly that we had no choice but to hang on and follow its vision for us to what we have created. Only now we can see clearly how powerful this experience really was. With the power of the words "In Love With You". Thank you to my country with all my heart for opening your arms and showering us with such a graceful experience. I hope everyone enjoys what we have created.